At Winchester Hospital, helping our community learn how to stay as healthy as possible is an important goal. We are happy to offer our expertise through many different community education and training opportunities. Let the experienced staff at Winchester Hospital teach you important information on how to stay healthy and safe – and what to do if a health crisis or serious injury happens in your presence. Our community education and training includes tips on how to recognize a stroke and how to care for a new baby. We also offer CPR and First Aid classes as well as professional and certification courses and nurse assistant training. 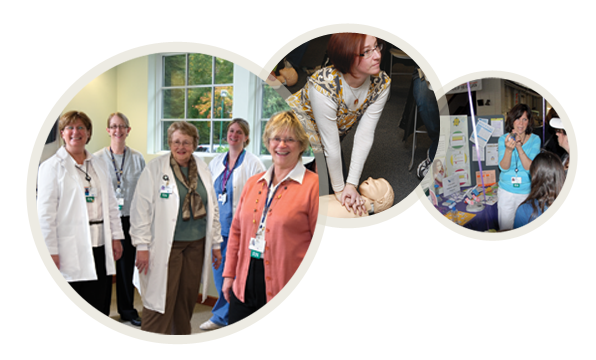 At Winchester Hospital, we’re pleased to share our knowledge and expertise with the communities we serve.